Isn’t AOVPN only supported with IKEv2? No. Always On VPN not only works with IKEv2, but with SSTP, L2TP, and even PPTP. The latter two are legacy protocols and aren’t recommended, however. 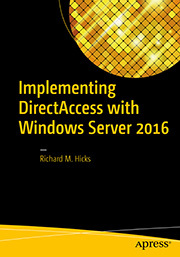 More details here: https://directaccess.richardhicks.com/2018/01/22/always-on-vpn-protocol-recommendations-for-windows-server-routing-and-remote-access-service-rras/. I’m looking at deploying device tunnel through an intune custom profile. Could you post an example? What OMA-URI should be used? I’ve got a blog post in the works on this. 🙂 The OMA-URI for the device tunnel is ./Device/Vendor/MSFT/VPNv2/Example%20Profile%Name/ProfileXML. Any news on this Device Tunnelvia Intune deployment post? I’ve since figured it out with the hint you gave the other user. It’s much the same as the user method! I’m having some troubles with some of our device tunnels. I can pin this down mostly to poor routers at some of our sites and this will be remedied, but in the interim i’ve forced scheduled tasks running from a SYSTEM context to rasdial the connection every 5 minutes. This works fine for the moment, but i’ve been wondering how one might implement an additional trigger for say mstsc.exe. I’ve been looking at the anatomy of the VPNv2 CSP, but I can’t seem to make it translate nicely to the ProfileXML used in Intune. Any tips or examples? Or should “AlwaysOn” trump everything else either way? I’d have to assume the DNS suffix is not configured correctly. Look at that setting in your ProfileXML closely and make sure it matches your internal namespace. 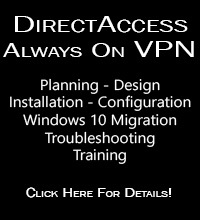 Always On VPN Client DNS Server Configuration | Richard M. Hicks Consulting, Inc. 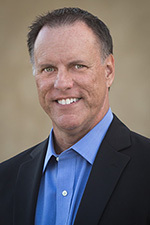 Always On VPN Routing Configuration | Richard M. Hicks Consulting, Inc.